A video store that transports you through time. Immortality from a microwave oven. A trip across the Atlantic, from the comfort of an armchair. 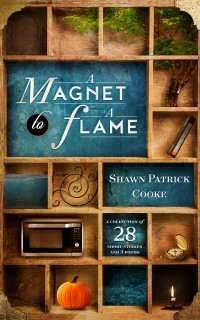 From the mind of Shawn Patrick Cooke comes a collection of stories that brush gently against reality.